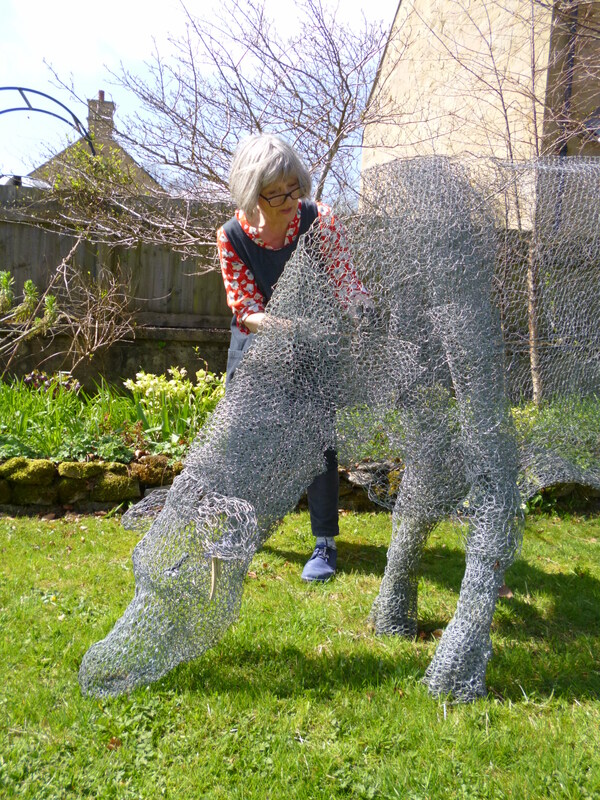 Having trained and worked as a potter for many years I discovered the modelling possibilities of chicken wire. 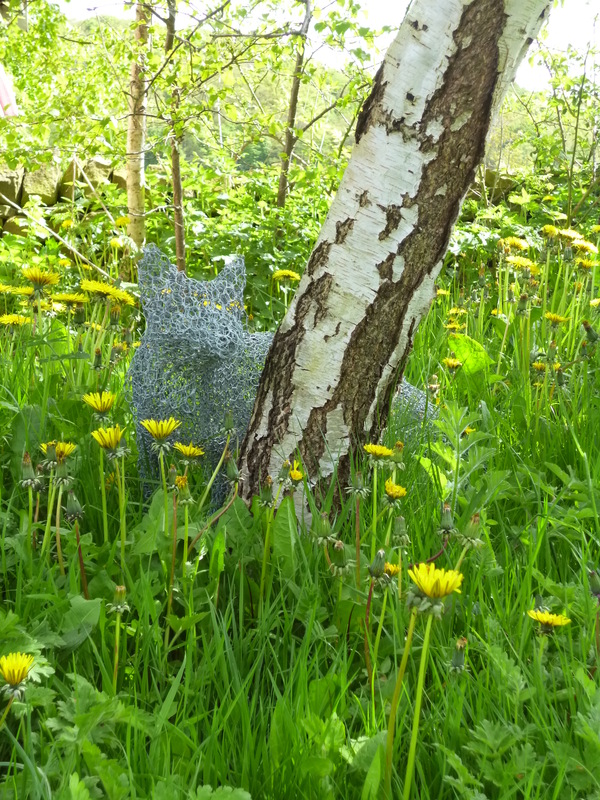 I was delighted; I had always enjoyed the forms of ceramics and never been very patient with glazes, and chicken wire has intrinsic strength, unlike clay which needs a lot of support and ingenious techniques to support the larger pieces which I wanted to make. Also I no longer need to be aware of the constant drying process of clay so I can now go away to see the grandchildren without worrying about work drying out. In the garden of my old house the foxes would steal across the grass at dusk. I used to sit wrapped up waiting for the silent apparition, understanding that they owned the garden at that time and that I was an intruder on their privacy. 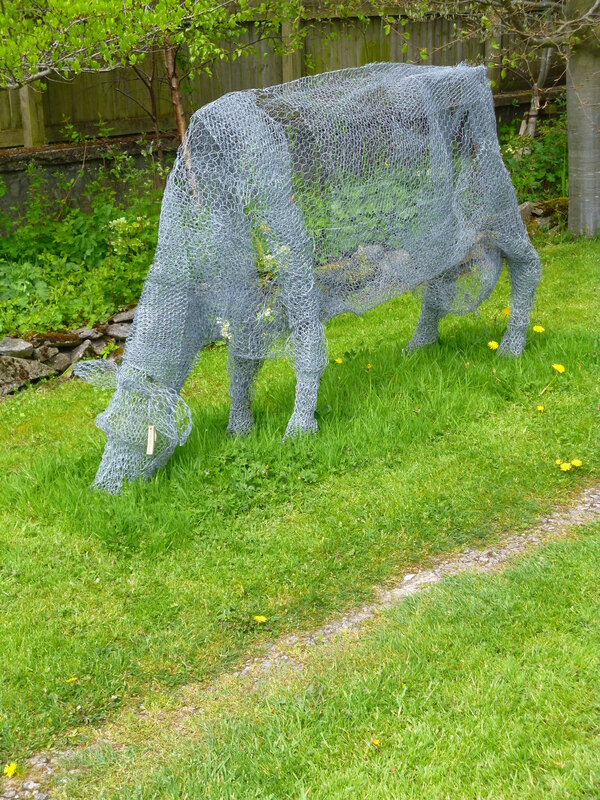 I started modelling them in wire, using photographs from the internet as I could never catch them on camera myself. I made a cow in honour of my daughter’s new in-laws who owned and managed a large dairy herd at Tivockmoy, Northern Ireland. They left the farm to come over for the wedding and the cow, Pride of Tivockmoy, was there to greet them at the reception in the orchard. She was duly appraised by the professional and pronounced a good specimen. Working in Sheffield it has seemed appropriate to use steel, with expertise in every aspect ready to hand. 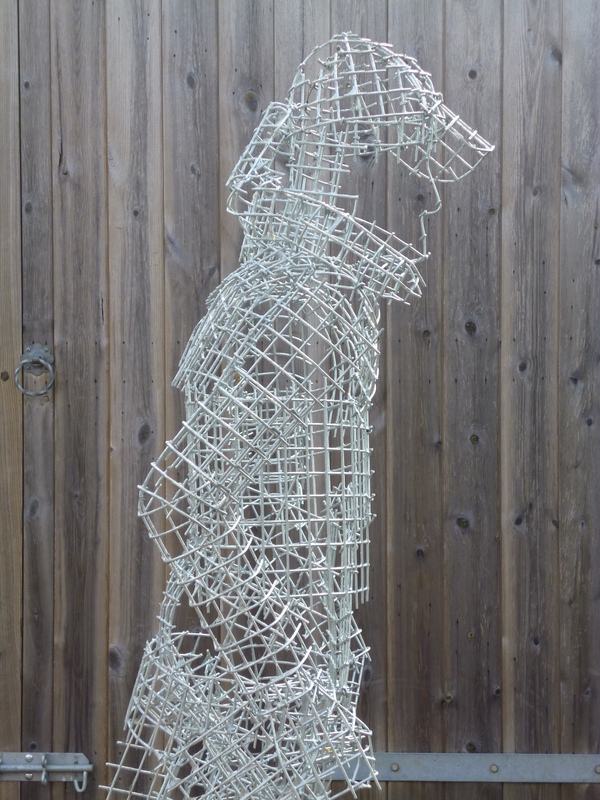 I use wire mesh as a base for some of my pieces and decided to experiment with mesh as a modelling material, which led to much looser forms as the mesh is very difficult to shape. It lends itself to even larger pieces, such as a shepherdess striding along with her dog, and is opening up new possibilities for my work. I use very good industrial wire-workers gloves and a collection of pliers, tin snips and bolt cutters, and my favourite tool; hog-ring pliers which bend steel staples into a circle. Fenella makes it sound so easy, but iIcant imagine where to begin!